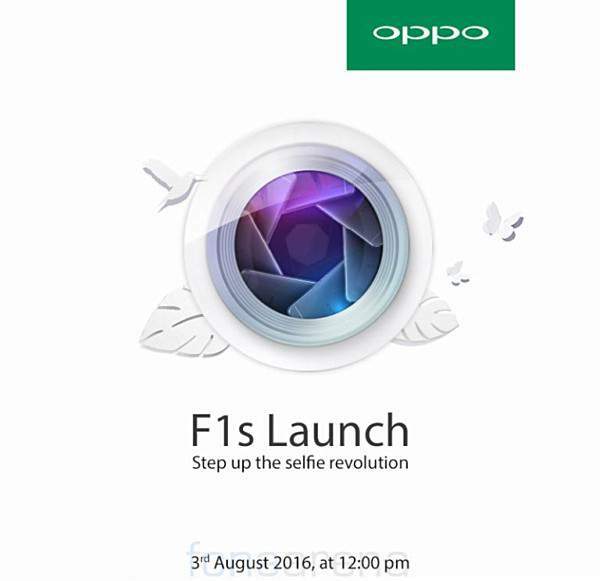 Oppo will launch the F1s in India on August 3. Oppo recently took to social media channels to make this announcement. Oppo has hinted something about the device saying “it will carry on the legacy of F1’s legacy of super photography, sleek design and snappy performance” as well as “it will be coming with new features.” By the saying this, Oppo has not revealed anything about the phone but creates excitement for the smartphone users to wait for the device. Known by the name “Selfie Expert,” Oppo’s F1s comes with a 16-megapixels front the facing camera and a front mounted fingerprint scanner, as it the was in the case of F1 Plus. This fingerprint sensor onboard the F1 is promising to unlock the device in just 0.22 seconds. These are the reports information which may either be proved true or false on the launch of the device. The Oppo F1s is powered by a 1.5 GHz Octa-core MediaTek (MT6750) processor, and 3 GB RAM makes the device fly when it comes to the performance and multi-tasking. This makes the gaming accessible in the smartphones. The company is providing 32 GB internal memory in this device which can be further expandable up to 128 GB using a Micro SD card. This device features 5.5 inches Full HD AMOLED display. Based on Android 5.1 (Lollipop), ColorOS is seamlessly responsive, giving a smooth and steady performance and offering more ease to the user. The F1s supports 4G LTE connectivity with VoLTE and comes with all the basic connectivity functions. The device also supports Oppo proprietary VOOC Flash Charge technology. Coming to the camera of the phone, the front camera is known as the soul of the device with 16 MP (current-gen 5/8). The 16 MP camera is said to be insane. Some reports also suggest that the selfie camera will come with some advanced camera modes and some higher level filters which will take the photography to the other level in smartphone devices. The Oppo will power this device with 30,75 mAh battery which will be nonremovable. The smartphone is expected to price between Rs. 20,000 to Rs. 25,000 and will be available in India in two different color variants, i.e., Gold and Grey. If you are selfie freak and looking for a compact smartphone, then you should be gearing up this upcoming product of Oppo launching on 3 August 2016. Stay tuned to The Reporter Times for latest phones news and all other technology updates across the globe. Don’t forget to share.